Home News Dem Congressman Says of Furloughed Workers: It’s Never Been Legal To ‘Make People Work For Free.’ He’s Quickly Reminded Of This One Other Time. Dem Congressman Says of Furloughed Workers: It’s Never Been Legal To ‘Make People Work For Free.’ He’s Quickly Reminded Of This One Other Time. Never in the history of this country has someone so perfectly described slavery without realizing it. 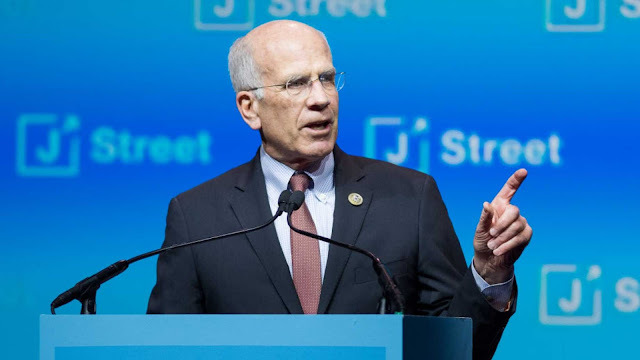 Rep. Peter Welch (D-VT) tried to make a poignant point Tuesday afternoon about the government shutdown, but bungled the message so badly he issued an apology. Welch was attempting to promote a bill he introduced that would prohibit federal employees from being forced to work without pay. Quibble with the bill all you like (they’re working for delayed pay, but will eventually be paid for their work), but the problem here is how Welch presented his bill. “Never in the history of this country has it been legal to make people work for free but that’s what’s happening to federal employees. This can never happen again,” Welch tweeted while linking to a VTDigger article about his bill. Slavery. That time was when slavery was legal. About two hours later, Welch tweeted an apology for his original tweet. This follow-up tweet, naturally, has received much less attention than his first tweet, which received 3,500 retweets, 3,200 comments, and 9,700 likes. His apology only received 621 retweets, 685 comments, and 4,800 likes, as of this writing.